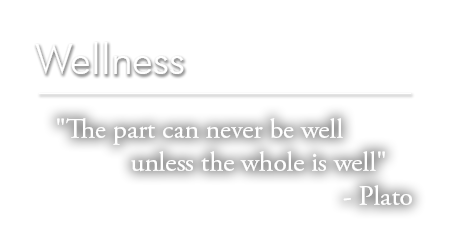 It is impossible to achieve ideal overall health and well being without considering the condition and health of the mouth. Integrative, Health-Centered Dentistry, sometimes referred to as Biological Dentistry, Holistic Dentistry or Mercury-Safe Dentistry, is performed with the mindset that your mouth, teeth and gums are a highly integrated and important part of your entire body, and should be viewed and treated in this respect. The goal of an Integrative/Biological Dentist is to diagnose and treat our patient’s conditions with this in mind, and to address any problems with minimal impact on overall health. In the same regard, by avoiding or removing certain offending conditions in the mouth, the hope is then to see a possible positive improvement in overall wellness and well-being. This is done by careful consideration of a patient’s dental and medical history, what procedures should be recommended and avoided, how those procedures are carried out, and consideration of the safety of the materials being used. Along with our patients’ health, extra precautions are taken to protect our doctors and team, as well as the environment in which all of this takes place. Below and throughout our site, you will find many of the considerations we are aware of and regard as important to ensure optimal health and maximum safety. 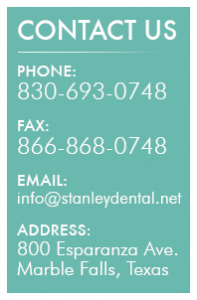 Our office has gone to great lengths to find safer, more compatible mercury free materials to offer to our patients. This makes our practice “mercury-free”. We are also a “mercury-safe” practice, which means we take extra safety precautions to protect our patients, team and environment if the removal of mercury fillings are necessary. Many offices may be mercury-free, but do not have the safety measures in place in order to be considered mercury-safe. 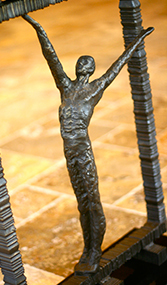 Some of these measures include our extensive safety protocols upon removal, as seen in our next section, proper handling of extracted mercury, proper treatment and filtration of recycled air, and voluntary mercury separators, which greatly reduces the amount of mercury present in the wastewater that is returned to the local environment from our office. These are a few of the reasons we are considered a mercury-safe practice. Controversy has surrounded the use of mercury in dentistry as far back as the 1800’s, when the first silver mercury fillings were used as filling materials. Although some controversy may still exist today about the toxicity of silver mercury fillings, what is not controversial is the fact that mercury is toxic and dangerous in small amounts and in cases of long-term chronic exposure. It is also known that mercury vapor is released from these fillings during placement and throughout the lifetime of the filling. There has been research conducted to determine how much mercury is released from these fillings, and if mercury in these small amounts may have long term negative effects on cellular enzymes, biological systems (organs, neurological, endocrine, oxidative stress, etc. ), and overall health. Much of this research has shown varying results, depending on the methods and objectives of the studies. Many studies have confirmed that the amount of mercury vapor released from these mercury fillings, during placement and continual use, can approach and exceed the maximum allowable safe exposure limits set forth by many state, federal and world agencies. Some agencies, such as the World Health Organization (WHO) have asserted that there is no safe level of mercury exposure. Today, many agencies including the United Nations Environmental Programme (UNEP), the United States Food and Drug Administration (FDA), and the European Commission (EC) are actively assessing health risks associated with dental amalgam. Many countries, such as Norway, Denmark and Sweden have banned its use, with other countries such as Germany, Canada, France, Finland and Austria limiting its use or recommending other materials be used in pregnant women. Currently, there is a global treaty initiated by the United Nations (UN) aimed at reducing, and in some cases eliminating, the use of mercury worldwide by 2020. Considering the afore mentioned points, as well as many other concerns surrounding the issue of mercury exposure, we do not advocate its use in dentistry. It must be noted that our views about silver mercury fillings do not reflect the views currently held by the American Dental Association. Use of a barrier device, such as a dental dam, to isolate the tooth or teeth in which the material is being removed. This keeps any mercury or metal shavings from being breathed, swallowed or becoming imbedded in the soft tissue during removal. High volume, dual suction and copious amounts of water applied directly to the tooth during removal to minimize any mercury vapor release. Specialized suction tips are also used that create a seal around the tooth during removal. 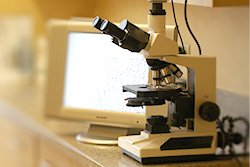 Proper removal techniques used by our doctors, such as removal of the mercury fillings in large pieces. Alternative air source, such as a nasal mask, which delivers oxygen for you to breath while the materials are being removed. Mercury vapor air purifiers as well as ionizing air filtration systems used to clean the operatory air, protecting the patient, as well as team and office environment. Doctors and team will wear mercury vapor masks during removal to eliminate any excess exposure to mercury vapor while breathing. Proper disposal of extracted mercury, as well as proper treatment of liquid waste collected by a central mercury separator. Proper eye protection and clothing barriers to eliminate any microscopic pieces from being transported out of the treatment operatory. Consideration is given to proper nutritional and supplemental support pre and post treatment. Nickel is a known allergen and carcinogen, and many people are hypersensitive and will react negatively upon contact with materials containing nickel. Such materials may include many porcelain-to-metal crowns and bridges (depending on the type of metal used under the porcelain), removable partial dentures, orthodontic braces and retainers. We will choose an appropriate nickel-free alternative to assure safety and compatibility. Bacteria, while always present in our mouths, are mostly beneficial and normal. Certain harmful, destructive, anaerobic (can live in absence of oxygen) species may also be present in varying forms in your mouth. The direct presence of these harmful bacteria, as well as toxins they produce can have a profoundly negative effect on your health. Periodontal disease, infection from dental abscesses due to dead teeth as well as root canal treated teeth may harbor some of these types of harmful bacteria. If present, they may lead to many systemic issues such as cardiovascular problems, joint pain and arthritis, inflammation and oxidative stress. Current research has also shown the neurotoxic and cytotoxic effect these toxins have at a cellular level. Conditions leading to the presence of these bacteria must be addressed and treated if their potential negative effects are to be avoided. Our doctors and team have been trained in the use of ozone, a powerful, safe therapy that has proven anti-microbial effects. Its positive effects have been safely used for over 100 years. 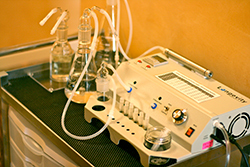 Ozone is generated from a supply of pure medical oxygen, with an ozone generator designed to produce very specific concentrations of medical ozone gas. A molecule of pure oxygen (02) undergoes the addition of another molecule of oxygen, creating ozone gas (03). This new molecule is a very powerful oxidizer and is very reactive, which explains its profound anti-microbial effects. Ozone gas can be applied directly (insuflation) to infected tissue, or can be converted to ozonated water then used to deliver the positive effects of ozone to affected areas. 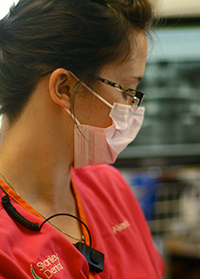 Ozone has been proven effective and safe in many applications in medicine and dentistry. Uses of ozone in dentistry and in our office include application of ozone gas and water to infected periodontal pockets, infected tooth structure, treatment of early cavities, treatment of sensitive teeth, as well as treatment of the water used throughout our office. Fluoride, specifically water fluoridation, has long been regarded as a miracle in the fight against tooth decay. Recent studies have called into question it’s safety, effectiveness, and the negative systemic effect it may have on vital organ systems (brain, kidneys, endocrine system). A recent Harvard study supports the possibility of elevated exposure to fluoride and delayed cognitive development in children. Our office avoids the use of fluoride during routine hygiene visits, and we select materials and promote the use of home-products that are fluoride free. We believe that proper diet, one low in processed sugar and proper daily maintenance is the most effective way to prevent tooth decay and support good oral health. It should be noted that our views about fluoride do not reflect the views of the American Dental Association. In some cases, we may utilize a compatibility test to verify that materials we use in your mouth are safe and appropriate for you. This is done through a simple blood sample that is sent to a specialized lab. Your blood serum is then tested for compatibility against all potential materials that may be used in your treatment. Proper nutrition and supplementation is foundational for supporting good oral health, as well as for maintaining overall health. Our doctors, as well as a team of other recommended physicians, together can discuss your individual needs and help you establish proper nutritional regimen. The goal is for you, through proper eating and good supplementation, to maintain a healthy mouth and body. 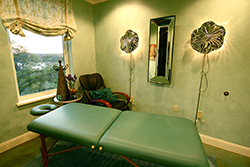 At times, a pre and post treatment massage may be recommended and incorporated into your visit. This may aid in relaxation, leading to decreased recovery time and increase post treatment comfort. This can be coordinated through our office, and will be preformed by trained therapists specializing in many advanced techniques.